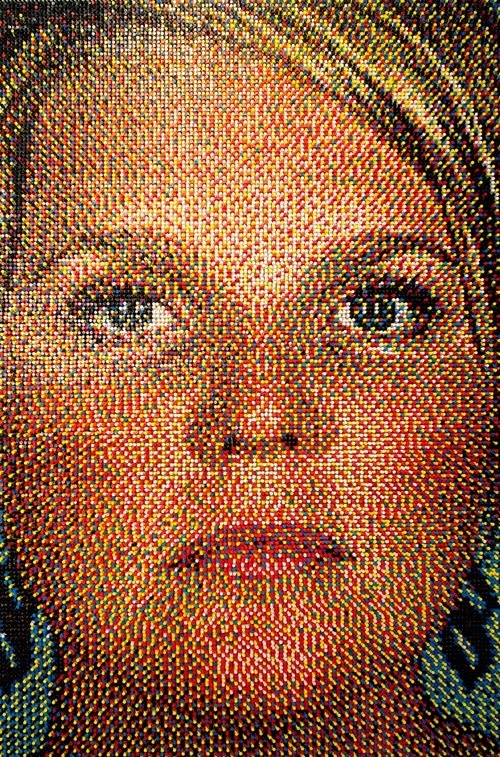 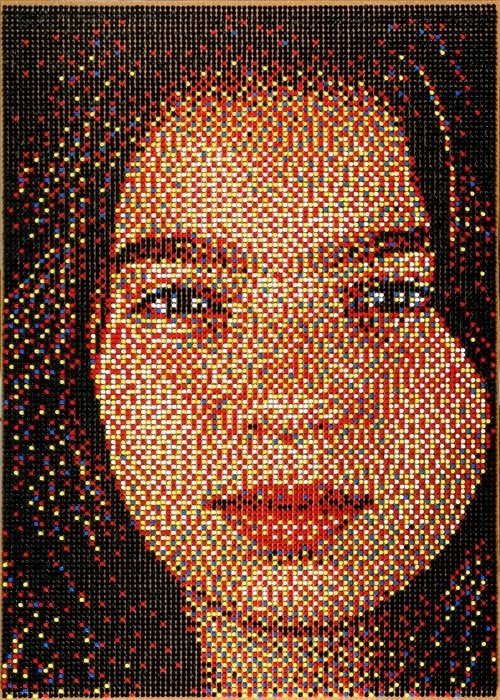 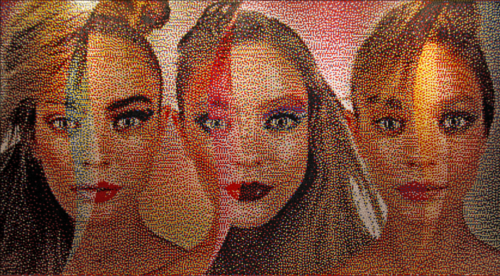 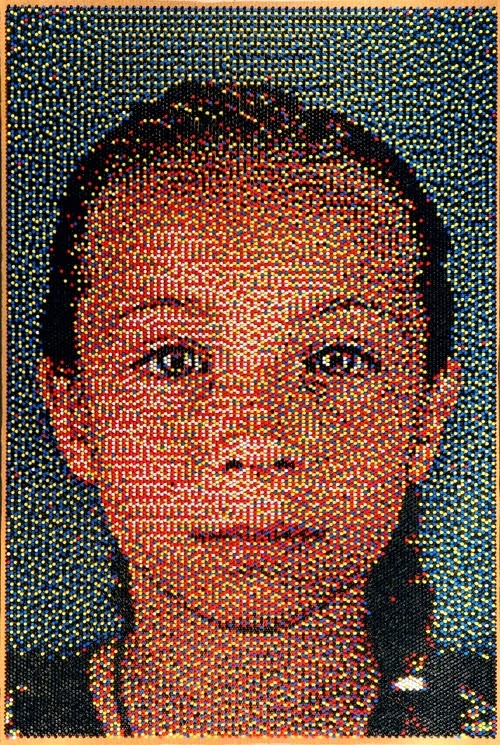 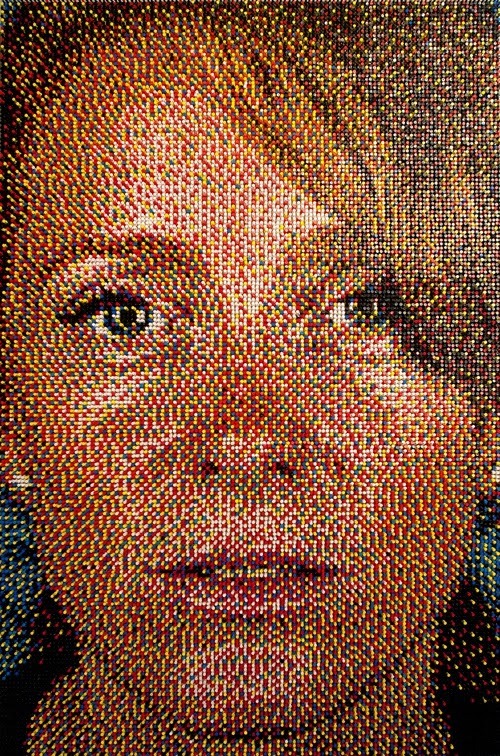 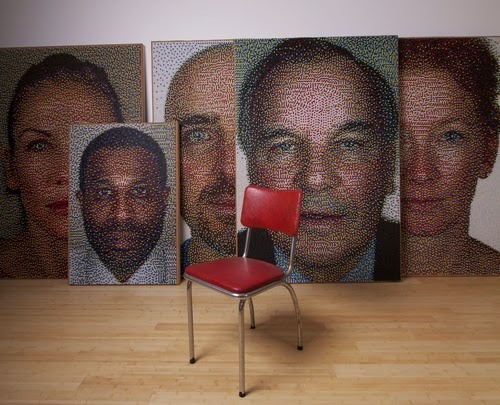 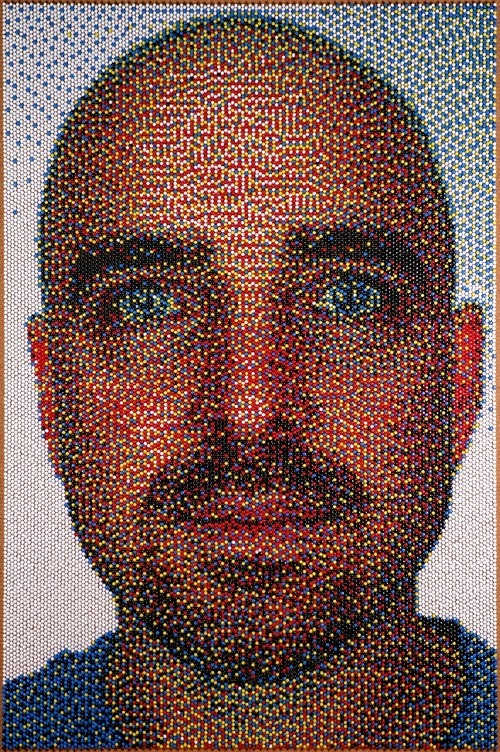 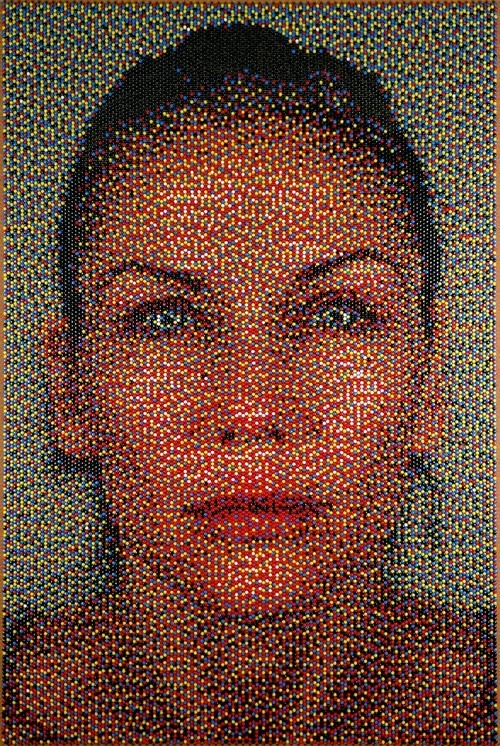 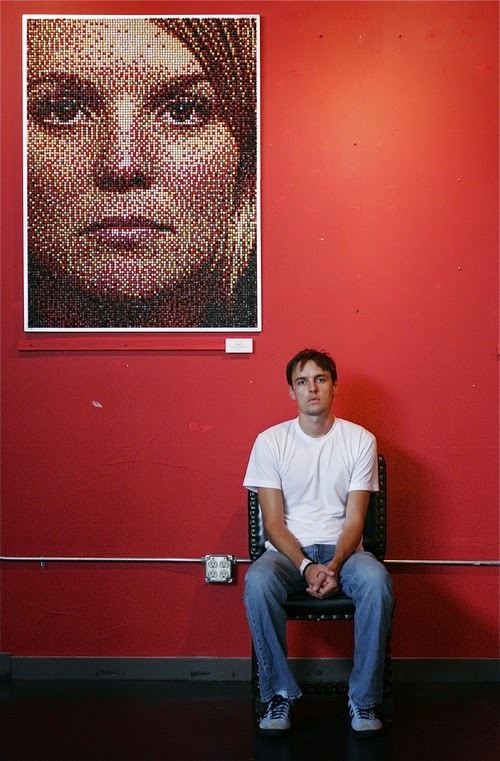 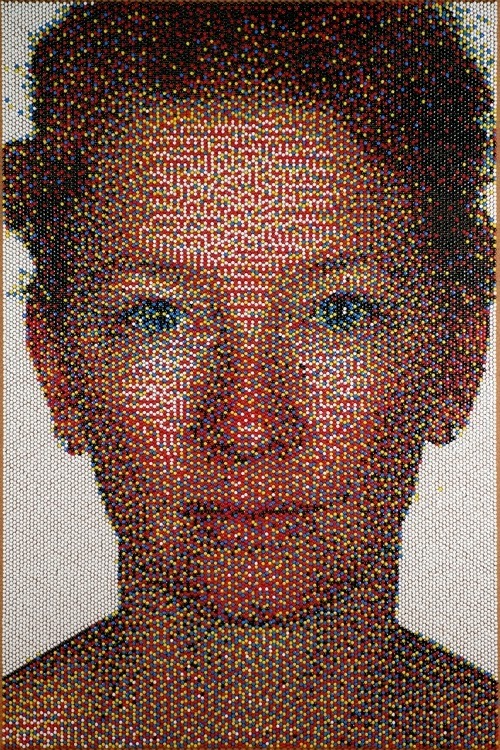 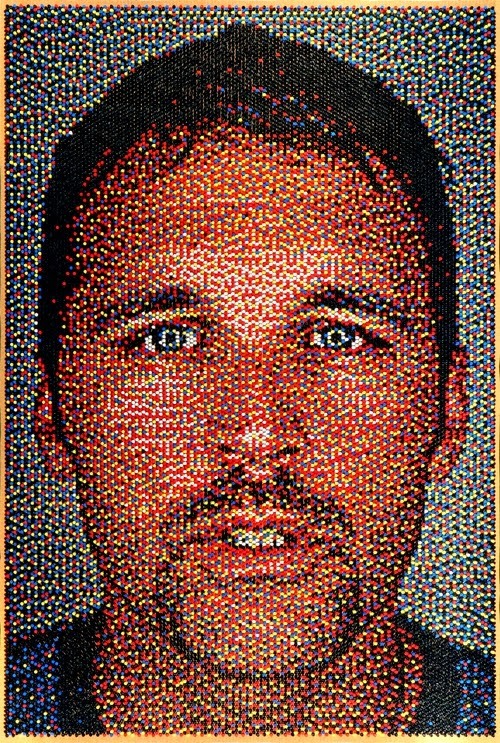 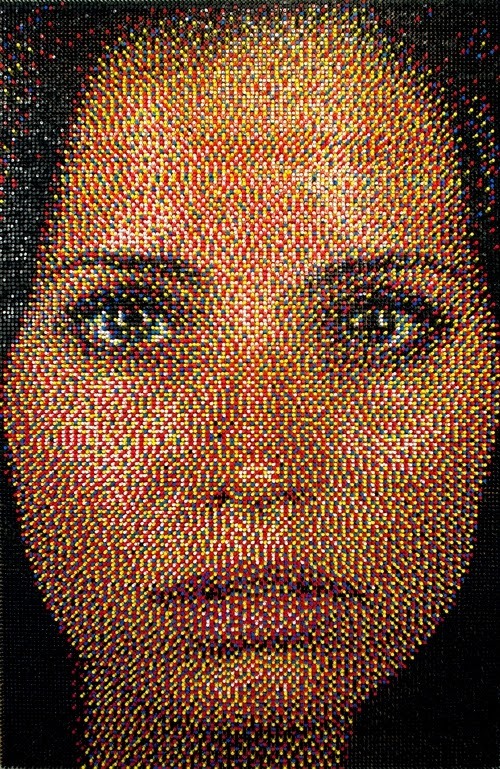 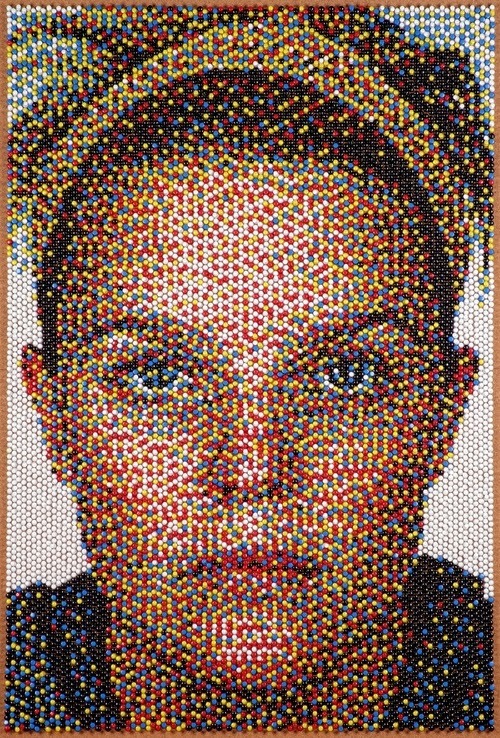 American Portraitist Eric Daigh creates portraits using Push Pins. 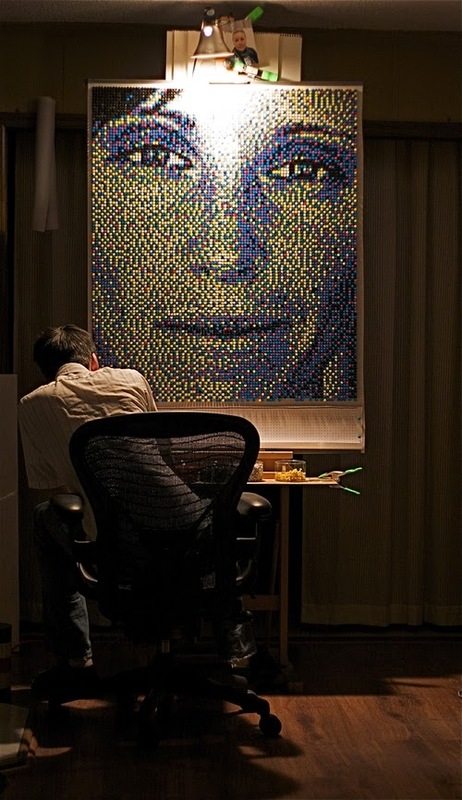 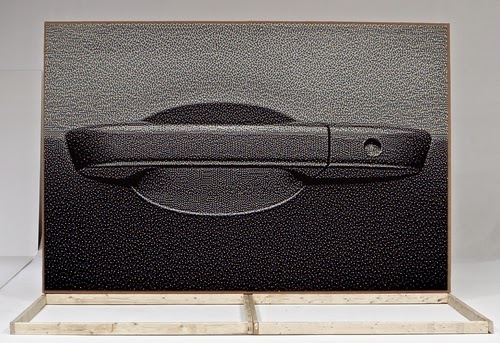 We have recently neglected one of the categories on our site, "Art using Everything" you can see the link, at the top of the post or on the left of the screen with the rest of the categories. 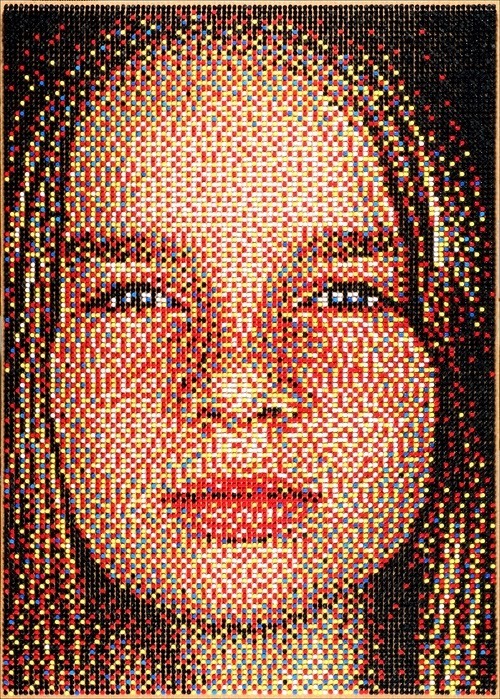 This joins the beautiful compilation of artwork created with items that were never intended to be used in an artistic way. 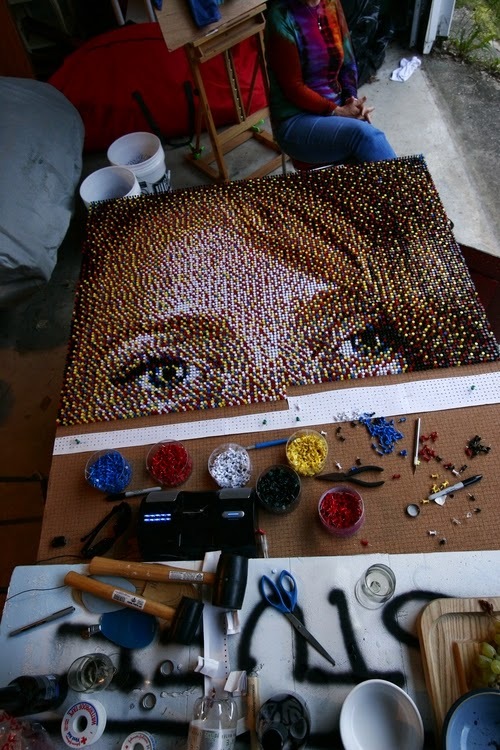 The further away you look at them or the smaller you make the image the more detailed they look.